Vira Timbaci’s post office job is similar to that of many postal workers around the world. There is one minor difference. One of the mailboxes he manages is underwater. It is located about 160 feet off the coast of Vanuatu. It is an island nation. It is located about 1,000 miles east of northern Australia. The mailbox and converted fiberglass water tank are submerged ten feet beneath the surface of Mele Bay. It is a body of water that feeds into the South Pacific Ocean. The post office opened in 2003. It was devised by the local postmaster and a resort owner. It is the world’s first underwater post office. 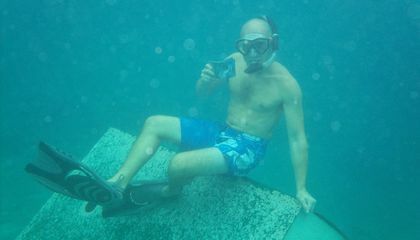 It makes it possible for vacationers to send postcards back home from under the sea. It’s Timbaci’s job to ensure that the postcards are collected on time. They are picked up at 3 p.m. each day. He is the postal manager. Postcards are made of waterproof plastic. They are embossed with a special stamp. The post office developed a special metal device. It marks each postcard. It does this without using ink. Ink would smear on contact. How do visitors know when the post office is open for business? When it’s open a flag is flown at the surface. Timbaci sometimes straps on scuba gear and mans the post office himself. He often taps one of the dive masters at the nearby Hideaway Island Resort and Marine Sanctuary to help out. At one time, the local postal service trained its postal clerks to scuba dive. But over time this additional specialized training became difficult to maintain. That is why the dive masters now pitch in. There have been several copycat underwater mailboxes that have opened. Some are in Susami, Japan. They are in Risor, Norway. And there’s one in Pulau Layang-Layang, Malaysia. It is the world's deepest. It is located more than 130 feet underwater. But the one at Vanuatu will go down in history as being the first of its kind. The Vanuatu underwater post office is open to snorkelers. It is open to scuba divers. And it is open to anyone who can hold their breath long enough to make a transaction. Can’t swim? There’s also a mailbox located on land. It is at the resort. It will mail the waterproof postcards. 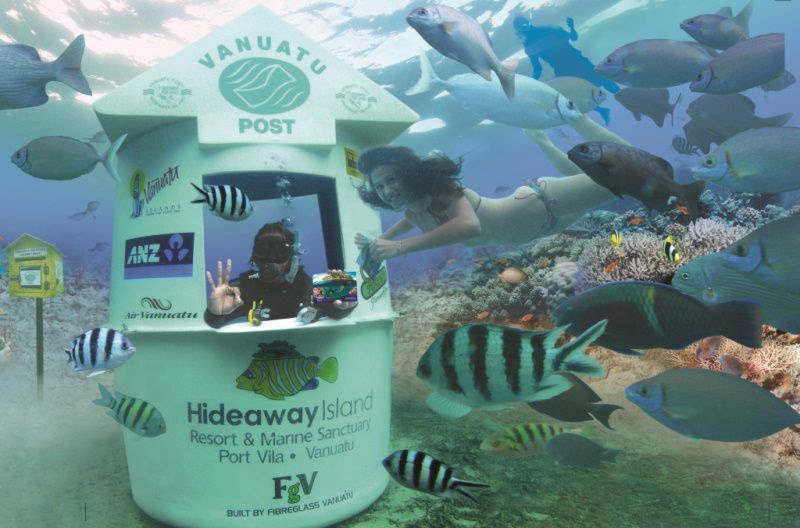 Why would an underwater post office appeal to tourists? An underwater post office would appeal to tourists because it is something different,and most tourists would like to see different stuff everywhere they go. I think many people would enjoy the expirence . I wish i lived by an ocean. Because it would be new to them and want to go.